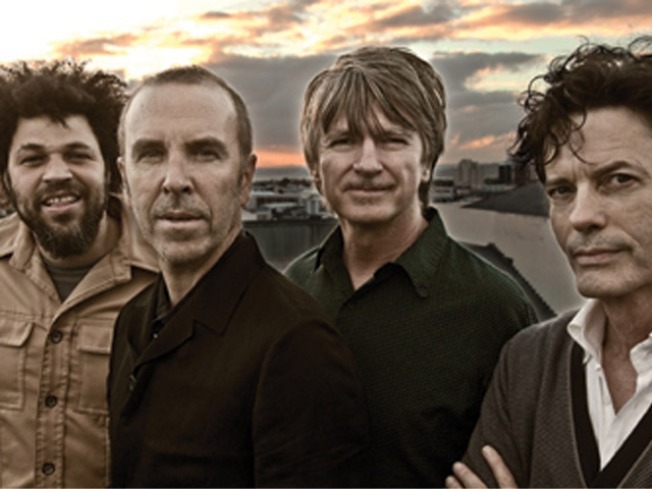 Crowded House kicks off three nights at Bowery Ballroom. HOUSE PARTY: Aussie outfit Crowded House are an institution pretty much everywhere except for the U.S., but they can still pack them in for three nights at Bowery Ballroom, starting tonight. Not that we scoff at Neil Finn’s solo work, but we’re looking forward to hearing his glorious C.H. tunes live again. 8:30PM. MONSTER MASH: Nachos, live music, and enough guacamole to feed NYC (ish) prepared by victors of the 2010 Guactacular—and all of it going down on a boat. And it’s only Monday. The Guac Rock Concert Cruise, sponsored by Nachos NY,ScoutMob and the skint, shoves off aboard the Jewel Cruise Ship at the eastside Skyport Marina. 7PM. BITING: Culty alt-comedy figure Marc Maron—who’s found a wider audience of late thanks to his WTF Podcast series, wherein he embarks on no-holds-barred rant sessions with other comedians (mostly)—is busy this week: He performs at Park Slope’s Union Hall tonight and tomorrow, then does a live taping of WTF at Comix. Catch one, at least. 7:30, 9:20PM.